Experiential learning opportunity requires students to tackle real-life problems. It involves not only theory but also a hands-on project. Hence, there is always a special story behind every experiential learning project. One example is the upcoming summer course at the Faculty of Science on International Capstone Experience in Cambodia, led by Dr. Jennifer Wan. Originally a student volunteering opportunity, this course has gradually evolved into a structured credit bearing learning opportunity. The partner of this project “UNlimited” is a service group started by three students at HKU. Andre Kwok, a student at the Faculty of Social Sciences, is among one of the driving characters. Startled by the needs and poverty in Cambodia during his volunteer experience with an organisation two years ago, Andre was determined to return and make more specific contributions to the local community. Later, together with several fellow students, he applied for CEDARS Service 100 Fund for a plastic sandal project in Cambodia. The group took the opportunity to build good relationships with the local government and many local NGOs. 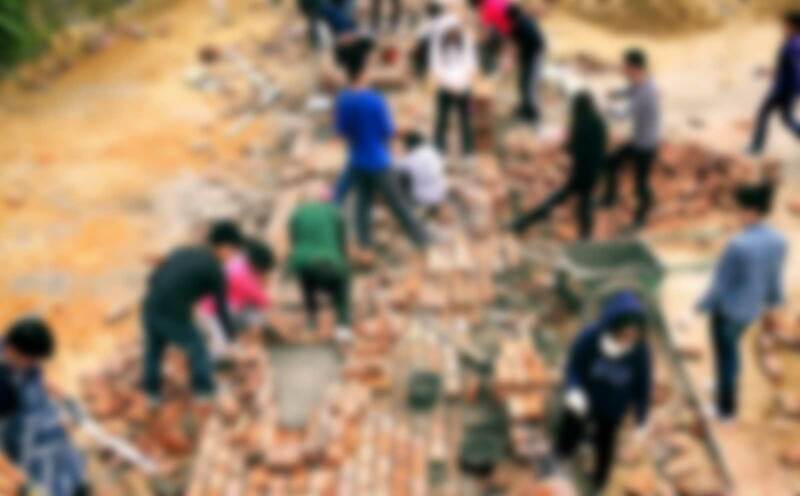 However, volunteering in an organisation was different from leading a project. Andre’s experience with the Service 100 Fund made him understand the reality of poverty development and the limitations of student volunteering work. Nevertheless, Andre and his peers were not discouraged. After the Service 100 trip to Cambodia a year ago, one of his fellow students Yik, who was in Dr. Jennifer Wan’s class on nutrition assessment, learnt about Dr. Wan’s plan of taking the students to Cambodia for a health assessment exercise. Andre and Yik, then went to discuss with Dr. Wan about the possibilities of working together on a project in Cambodia. Dr. Wan gave her expert advice on creating the project and provided consultation and training to the students. She eventually became their advisor and mentor when they set up “Unlimited” in April 2014. Building on the prior volunteer experience, Dr. Wan decided to transform the volunteer experience in Cambodia to a more structured experiential learning opportunity. She believed that by doing so, there will be tangible results that can be shared with the community for health monitoring, while the students can practice what they have learnt in the classroom. She also deeply believes that this is a more mature model evolved from a “hit and run” short-term volunteer service, which can bring in more solid and long-lasting impact to the community. The course, Nutrition and Public Health (BIOL2534), provides students the opportunity to understand the relationship between public health nutrition, public health education, poverty and inequality in different societies. Students will be able to develop nutritional epidemiology and research tools to determine the factors involved in public health nutrition. Students will carry out research internship in Cambodia where they will gain knowledge and experience of carrying out research work in rural areas and research general health and socio-economic issues to carry out their own project work on campus to sustain their experiential learning process. Students will be assessed on their ability to design and conduct research study as well as communication and presentation skills. The assessment will be divided as such: verbal skill, design research proposal, critical analysis of data and social inclusion. 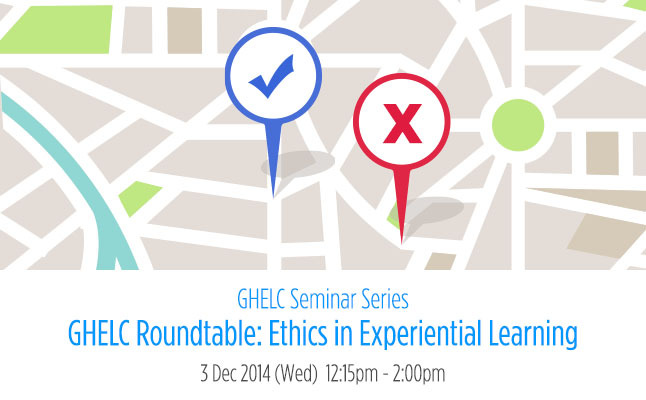 This seminar will explore the ethical terrain of experiential learning activities. Experiential learning is a creative and powerful pedagogical method which takes students out of the classroom to tackle real-life problems by drawing on theoretical knowledge. It involves students interacting with various stakeholder groups, where ethical concerns arise. In this seminar, experienced experiential learning teachers, NGO representative and student will share their insights in ethical issues arise from their experiences. We hope it is the first step to formulate guiding questions for educators to identify and address ethical issues in designing experiential activities.